A two centre classic Switzerland tour combining three nights in Villars, with its glorious setting above the Rhône Valley and three nights in the Canton of Obwalden. 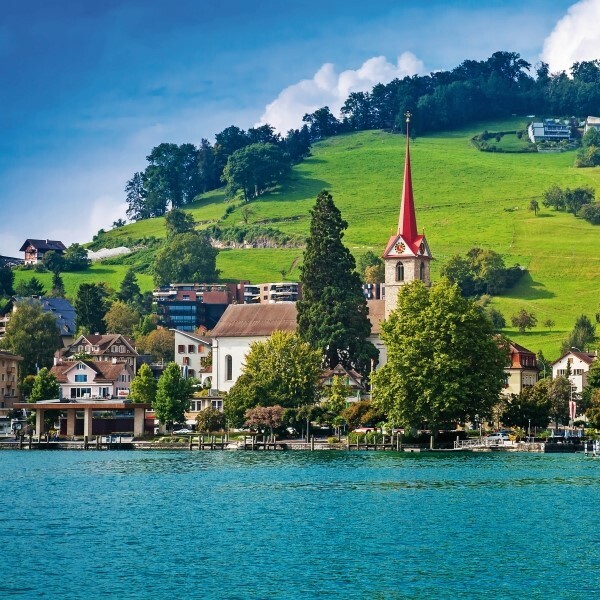 A two centre classic Switzerland tour combining three nights in Villars, with its glorious setting above the Rhône Valley and three nights in the Canton of Obwalden. 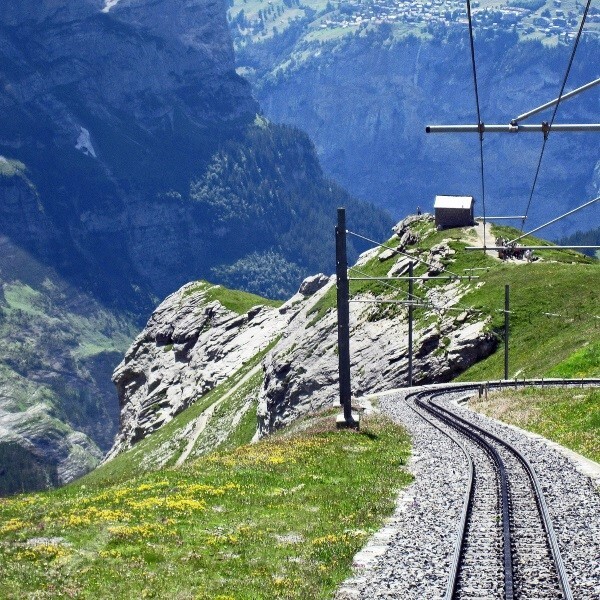 To connect these outstanding locations, enjoy a rail journey in a panoramic carriage on the Golden Pass Line, travelling from the Mediterranean ambiance of Montreux through fairytale landscapes and into the Alps. Please note: this tour is not suitable for those with limited mobility and is oeprated in conjunction with Woods Travel of Bognor Regis. Following collection from home, join the coach for the drive to Dover and the short Channel crossing to Calais. Continue through France to the overnight hotel near Forbach in time for an evening meal. Departing after breakfast, continue south, with a break from the motorway to drive through Alsace and a lunchtime stop in one of the villages of this beautiful area - Obernai, Ribeauville or Riquewihr. The journey continues through Germany, into Switzerland, past Lake Lucerne to reach the hotel in Villars for a three night stay with dinner, bed and breakfast. A day at leisure in Villars, where fantastic views extend in all directions and the fertile valley contrasts with the dramatic alpine peaks and pine forests. Included is a Villars Access Card, allowing free use of the local trains, coaches, gondola lifts and more. Visit stylish Evian, nestled on the southern shore of Lake Geneva. The town has beautiful public gardens, an historic town centre and long lakeside promenade from which there are great views over the lake. 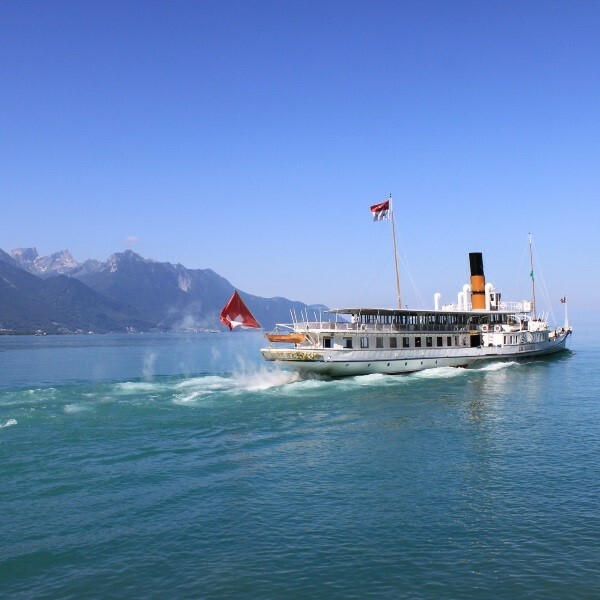 Included is a boat trip across Lake Geneva to Lausanne, arriving in the stylish Ouchy harbour area. Departing Villars after breakfast, travel to Montreux, making a photo-stop at Chillon Castle en-route. After free time, join the Golden Pass Panoramic train for a spectacular journey climbing up from the shores of Lake Geneva to the heart of the Swiss Alps. Arriving at Zweisimmen, rejoin the coach and travel into the Bernese Oberland enjoying the contrasting views of sparkling Lakes Thun and Brienz and the mighty snowcapped peaks, including the Jungfrau and Eiger. Ascend the Brunig Pass and travel towards Lake Lucerne to arrive at the Paxmontana Jugendstil Hotel by early evening for a three night stay with dinner, bed and breakfast. Free time to enjoy the spectacular scenery and fresh mountain air in Flueli Ranft. The village sits on a lush, green plateau above the Sarnen valley and there are breath-taking views of the surrounding mountains and down into the valley and Lake Sarnen. In the afternoon, take a short excursion down to the village of Sarnen. Journey along one of Switzerland's most dramatic lake shores, where mountains plunge directly to the lakeside, to Lucerne City. This beautiful old town with its city walls, famous Lion Monument and wooden "Chapel Bridge" is well worth exploration. See the narrow streets of the old town with their stylish shops, bars, restaurants and cafés and take time to stroll along the lake shore and busy harbour. Depart the hotel after breakfast and travel north into France and the overnight hotel in Forbach. Continue through France to Calais to join the late afternoon sea crossing to Dover and the onward journey to East Anglia where the door to door collection service will be waiting to return you home. Eurotel Victoria Villars is a four-star hotel situated close to the centre of Villars, with breath-taking views over the Rhône Valley, boasting plenty of facilities. Paxmontana Jugendstil is an historic three-star hotel in an idyllic location on a glorious mountain plateau, built in the dramatic Jugendstil style and lovingly restored and maintained with great attention to detail. It has several lounge areas where guests can relax, a small bar and beautiful outside terrace and gardens.